Most people who get a GoPro for Christmas never use it for anything more heroic than poorly shot vacation videos and/or disastrously bad selfies. 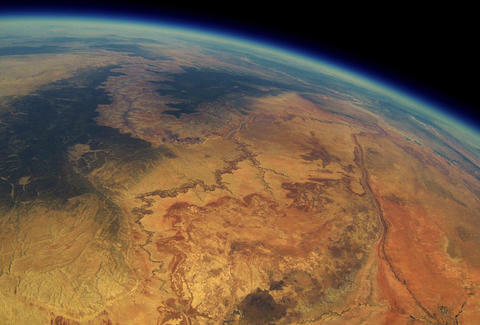 However, in 2013 a group of friends decided to make the most of their action camera by strapping it to a weather balloon and sending up to the stratosphere for some out-of-this-world (hahaha) shots of the Grand Canyon. 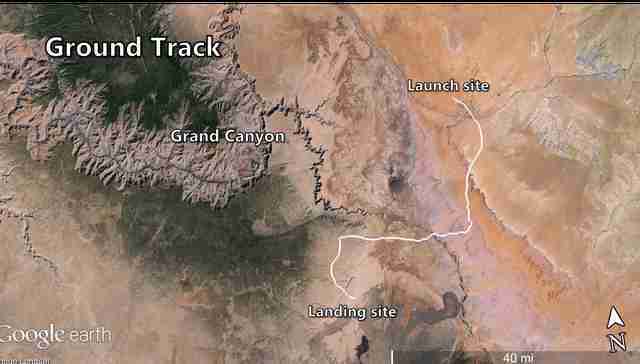 The group also sent up a smartphone along with the GoPro, intending to use the phone's GPS to track down the camera and recover it once the balloon popped and everything fell back to Earth. Unfortunately, the cell service map they used wasn't as accurate as they thought, and although their planned trajectory was correct, the phone never regained its signal, crash-landing in an unknown patch of deserted... well, desert. The story doesn't end there, though. Cut to 2015 when, in a beyond-spooky coincidence, the phone and camera were both discovered by a random hiker who, it just so happened, worked at AT&T -- she brought the phone to an AT&T store, identified the owner via the SIM card, and reunited the lost devices with their previously disappointed owners.